The fact that the prices of commodities such as crude oil, iron ore, copper, aluminium and coffee have been in decline is not a secret. What seems to have been lost in the story however is how Africa is actually benefiting from this decline. 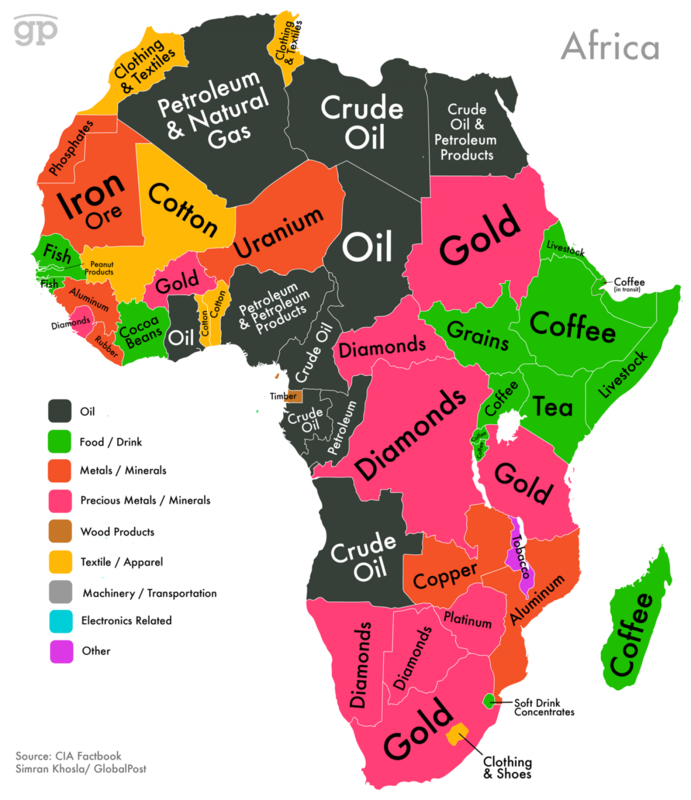 The main story we’re hearing as Africans is that Africa is suffering from the commodities decline. The IMF makes the point that particularly hard hit are the region’s eight oil exporters (which together account for about half of the region’s GDP and include the largest producers, Nigeria and Angola) as falling export incomes emerge due to lower commodity prices. This results in sharp downward fiscal adjustments which limits government activity. The IMF goes on to say that among oil exporters, the sharp and seemingly durable decline in oil prices makes adjustment unavoidable, and while some had space to draw on buffers or borrow exist to smooth the adjustment, that space is becoming increasingly limited. This column agrees with much of this- but the positive elements of the commodity decline have not gotten nearly as much attention. To be clear, there are positive consequences to the commodity decline for Africa. So although Africa has to be aware of the difficulties this dynamic raises, the positive elements also ought to be highlighted. The first positive result of declining commodity prices is that Africa finally seems to be truly serious about building manufacturing capacity on the continent. Once again Africa has found itself at the short end of the stick; because commodities were booming for so long, there was no pressure on Africa to domesticate value addition and build up manufacturing activity on the continent. Africa, once again, in the 21st century, found itself in the very old position of having just largely exported raw commodities during the commodities boom and is now suffering. It is almost as though Africans told themselves, ‘ let’s ride this wave while it lasts’, and the continent did not make any serious re-orientation in terms of domesticating value addition. Now that boom has ended and clearly African economic growth still seems tethered to commodity prices perhaps to a greater extent than expected. Thus, we now see increased impetus on the continent and scrutiny directed towards the continent on building up manufacturing and value addition capacity. . 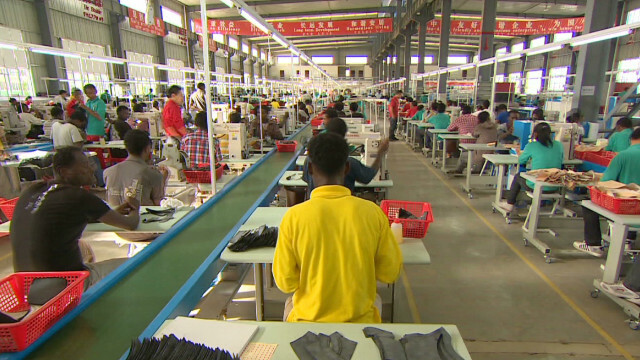 This is good news for Africa because the value of building up manufacturing, especially export-oriented manufacturing has long been an important story in countries pulling populations out of poverty. This is a chance for the fundamental reorientation of Africa’s economy which is long overdue. Bear in mind that given the fact that China will shed 85 million jobs at the bottom end of the manufacturing sector between now and 2030 the question becomes: where will they go? Africa finally seems to be saying ‘Africa!’. Those interested in the African economy driving development, now due to the commodities decline, are seeing manufacturing taking its rightful place in terms of the priorities of the continent. Secondly, the commodities decline is very good news for East Africa. The region is minimally exposed to the commodities debacle. Yes there are new oil deposits that have been discovered in some of East Africa, but these have not been fully exploited yet so East Africa economies continue to grow in spite of the commodities decline. Let’s look at some figures based on average growth rate of about 3.4 percent for the global economy in 2016. Africa, for the first time in years is below the global average and is expected to grow at only 2.9- 3.2 percent this year, the slowest since 2001 according to some estimates. Compare this to East Africa where Kenya grew by 5.6 percent in 2015 and preliminary estimates suggest Tanzania registered 6.9 -7 percent GDP growth in 2015, Uganda around 5 percent, Rwanda was estimated to have grown at 6.9 percent in 2015 and Ethiopia at 6.3 percent a year between 2016-20. Please bear in mind getting data for some of these countries is difficult. But the point is that these are all well above the estimated African GDP growth rate of 2.9- 3.2 percent and the global growth rate. So the global community is alive to the fact that East Africa is really a bright spot and is a space where economies seem to be relatively unaffected by the commodities decline. The message is simple: Africa should more fully exploit what it stands to gain from the commodities decline. There is plenty of good news therein. This entry was posted in Africa, Development economics, Economics, frontier markets and tagged China, commodities, East Africa, GDP growth, manufacturing. What does Devolution in Kenya look like economically speaking?